It was a strong showing from the perennial North American champs. 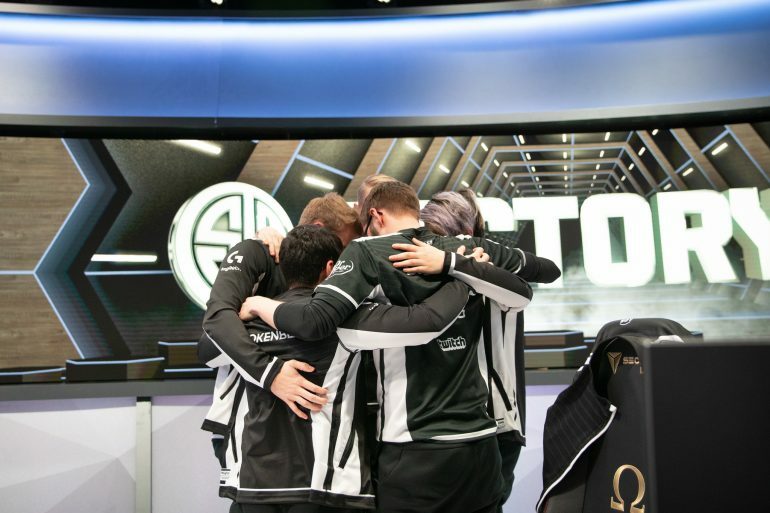 Despite stumbling in the first game of the quarterfinals, TSM took down Echo Fox today to move on to the semifinals of the 2019 LCS Spring Split playoffs. Aside from their first loss, each game was pretty lopsided in TSM’s favor as the team found leads early and pushed their advantage. Echo Fox actually stunned TSM fans with a well-played game one. Behind some great plays from mid laner Kim “Fenix” Jae-hun and top laner Colin “Solo” Earnest, Echo Fox found themselves in the driver’s seat of the series. Unfortunately, Lee “Rush” Yoon-jae was simply too unreliable and continued to make mistakes throughout the four games, costing Echo Fox multiple times. From using his Kindred ult too late to getting caught out in the jungle, Rush couldn’t find a way to positively affect his team. On the other side of Summoner’s Rift, TSM’s jungler Matthew “Akaadian” Higginbotham was a force of nature for his team. He picked Rek’Sai in every match and managed to secure first blood three out of the four games. His early game pressure was felt all across the map and was a huge catalyst for TSM’s success. All of the players on TSM were clicking today—Sergen “Broken Blade” Çelik was playing the side lanes well and Søren “Bjergsen” Bjerg was putting in work on Lissandra and Zoe. Jesper “Zven” Svenningsen had some great positioning in most of the teamfights, while Andy “Smoothie” Ta found great engages on Galio and Alistar. For Echo Fox, they may need to readjust their gameplan for the upcoming summer season. From coaching to roster changes, they should try to throw a bit of variety into the team. It looks like this iteration of Echo Fox just isn’t strong enough to handle top teams, especially in a five-game series. TSM will head to the semifinals of the LCS playoffs, where Cloud9 are waiting for them. Bjergsen and crew haven’t found a win against Cloud9 all spring, so they’re probably hoping for a reversal of fortune on Saturday, April 6.